Buying and Selling homes in Naperville and Bolingbrook, IL with Creative Commercial Brokers is a hassle free experience. Your "Dream Home" is not impossible to find when you employ professionals. Selling your home can be exciting but it also takes a lot of time and work. Because of that, many people don’t always have the time to show the house to potential buyers with short notice. Also, you probably don’t have the tools, knowledge and network like real estate brokers to market the house properly for maximum exposure in the local market. And you need a comparable market analysis for pricing your home. This is very important because if you price it too high, you will lose buyers. If you price it too low, you will scare buyers into thinking there may be something wrong with the house. Selling your home can take some time depending on supply and demand in your market and you need to be patient if you are doing it yourself, For Sale By Owner (FSBO). If this is your first time trying to sell a home there will be a lot of trial and errors. Those trial and errors can be very costly in terms of losing many potential buyers, and thus delaying the sale process even further. You need to decide if you’re going to try to sell your own home as FSBO or use a professional real estate broker. The question is; is it worth it to save 2.5% or 3% in this case? Creative Commercial Brokers can guide you through this process with all the help you need. Considering the average commission on a residential real estate transaction is 5 or 6%, you will only save one half of that percent if you don’t have a listing agent on your house. Even when you sell your own house as FSBO, you still want real estate agents and brokers bringing you a lot of qualified buyers, don’t you? And when they do, they are going to demand their fee of 2.5% or 3% of the sale price because they are the professionals in this field, and that’s how they make their living. They are doing this day in and day out, and they are working with a lot of potential buyers and sellers at any given time. This is your chance to have a professional on your side. Creative Commercial Brokers can help in representing you in professional negotiations, contract preparations and offers. The same thing can also be said for buying a home. Do you really have all the time in the world to search a half a dozen websites, call real estate agents, make appointments, find out that information was out dated and the dream house you just found is no longer available. Instead of you doing all that, Creative Commercial Brokers has a residential service that can help you achieve your goal and find that perfect house in NO time. Its residential service website, ListRentBuySell.Com can text you the moment new homes are listed in your market, price reductions and more. 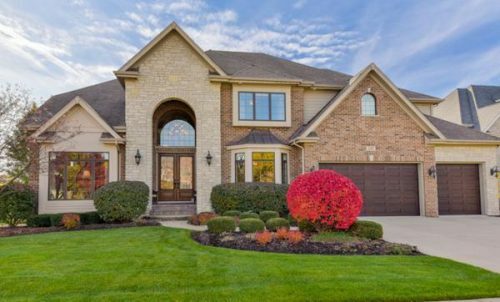 Whether buying or selling your home in Naperville or Bolingbrook IL, Creative Commercial Brokers’ new residential service will be a tremendous help in your research. When buying and selling homes, you will need multiple third party services like home inspections, attorneys, etc. Creative Commercial Brokers can put you in touch with the right professionals when you need them. Especially when buying a home, knowing its condition guarantees you peace of mind. You may not know everything you should about the condition of the house components from the roof to the basement: chimneys, siding and trim, attic, plumbing, electrical wiring, air conditioner, furnace, etc. Knowing what to watch for can save you tens of thousands of dollars.